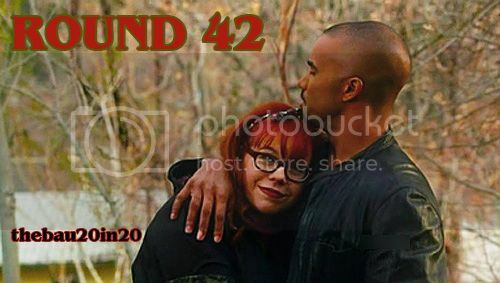 You have 20 days to make 20 icons featuring your favorite Criminal Minds character. Icons are made in sets of 10 thematic icons, 5 icons in one category and 5 icons of the Artist's Choice. The full Rules & Info are listed in the profile! ... how are you all? Next week Criminal Minds will be back with the ninth season, are you excited as I am? Round # Sign-ups now open! Your favorite ship like JJ/Reid or Emily/Morgan. 1. You must be a member and have read the rules first. 2. Sign-ups are open all month. You will be given posting access after MONTH 1st. Please remember to make your posts on your personal journal, unlocked! We'd love to be able to see your entries! Here are the winners for Round 41. Congratulations to everyone. Remember that for any kind of suggestion that you have you can contact us whenever you want! Please, help us break the ties. You have until April 4th. - Don't vote for yourself. - Don't vote if one of your icons is in the poll. - Don't ask others to vote for you. -Set #'s are located to the left and icon numbers above the icons. -I know there are a lot of icons but please don't skim the entry. For a fair vote all icons should be looked at. -Vote fairly and without bias. The quality of the icon is what you're voting for. -Don't vote for yourself or ask others to vote for you. I didn't realize that with only 3 entries in the category and in the artist's choice voting you can't vote for 3 set. So I will repost the voting for category and artist's choice. -I know there are a lot of icons but PLEASE look at them all don't just skim through the entries.